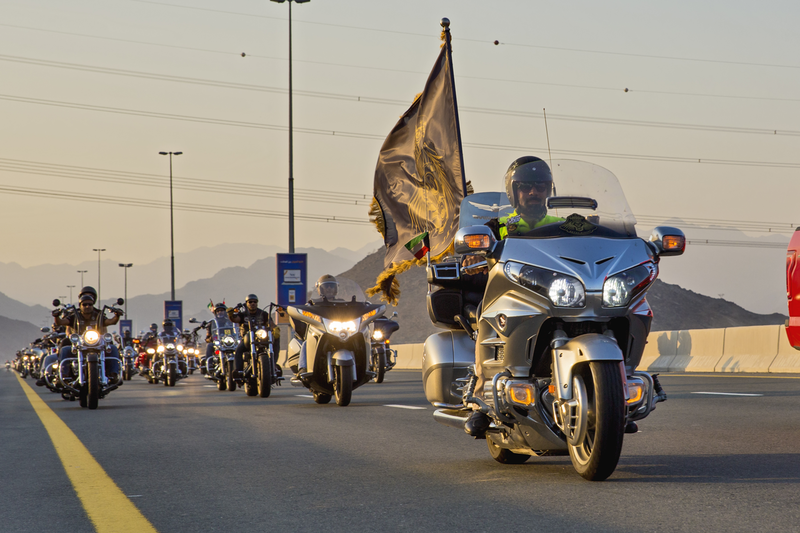 UAE Royal Riders: Arab Emirates "United by motorcycling"
The UAE Royal Riders motorcycle group has been officially founded on March 3rd 2016 in Dubai, United Arab Emirates. The community has over 55 members, including representatives in Kuwait, Oman and in the USA. Their motto is: “We ride, others follow”. 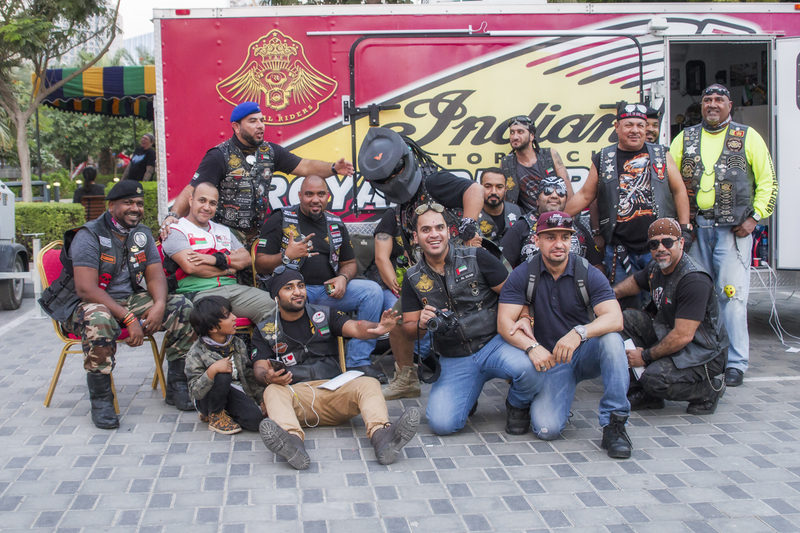 According to Saud Sheerani, founder and president of Royal Riders, everyone in the group is considered a founding member. Royal Riders is a non profit organization registered in the United Arab Emirates and at the United Nations Department of Economic Social Affairs. The group conducts many social activities, such as supporting the Autism Trust Foundation (ATF). “We are always connected to autism through the Autism Trust Foundation. We are a strategic partner of the association; we have support from the foundation, we are registered at the economic and social affairs at the UN”, explains Saud. The Autism Trust Foundation (ATF) is a non-profit organization registered in the United Kingdom and at the United Nations Department of Economic Social Affairs. The group also receives support from EMSF – Emirates Motor Sports Federation, a non-profit government organization in the United Arab Emirates. These riders, with their great sensibility, follow the purpose of making the United Arab Emirates a better please for people with autism, as we ll as promoting motorcycle riding in the country. “We promote events with all charity and social welfare institutions in the United Arab Emirates, with social, cultural and sports actions”, says Saud. 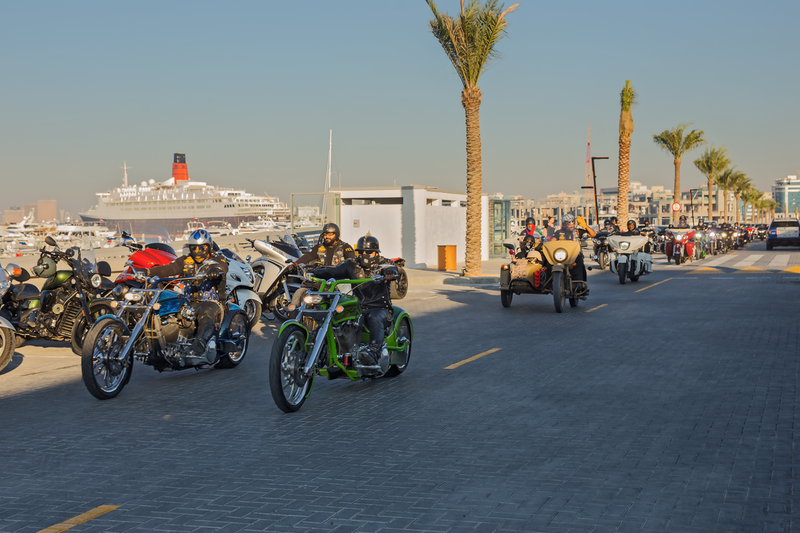 The group is also an official participant at major motorcycle events in the United Arab Emirates, such as Emirates Bikes Festival, which takes place annually in Dubai. “There are four of five main events in the country. Between November and May every year there is an event or a ride, every weekend. Most of these actions happen outdoors and are open to the public,”, says the UAE Royal Riders president. Members of the UAE Royal Riders gather officially once a month to talk about past and future projects, and also to make the official introduction of new members to the group. The UAE Royal Riders does not accept women as official members. “In our culture it is hard for some members to agree in having women as members, but I hope this will change soon”, affirms Saud. However, in the Emirates there are women only motorcycle groups and other groups that accept women normally. 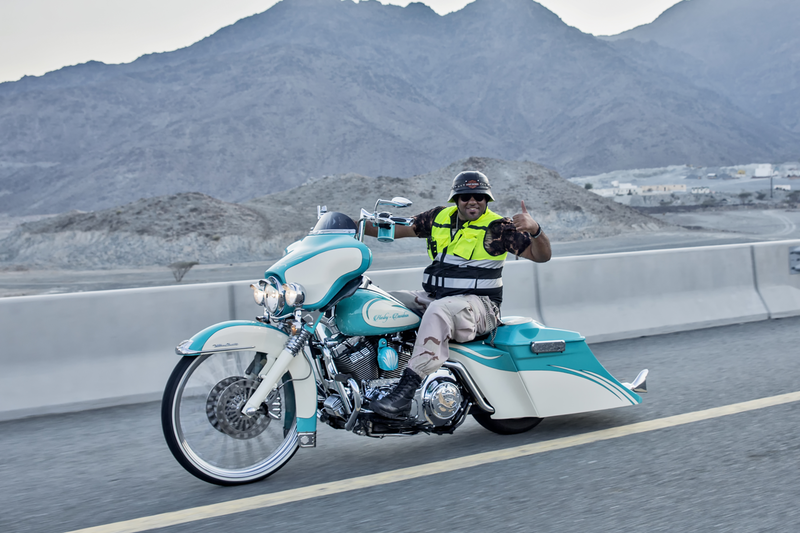 In the group there are members with various types of motorcycles, including some with extreme customization, such as Saud’s Chopper Athena Prostreet. He also owns an Indian Roadmaster. 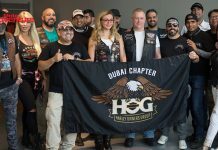 There are no sportbikes in the group.Royal Riders have their own headquarters, with offices at the Silicon Oasis in Dubai. 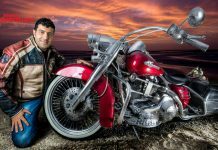 The president and founder of Royal Riders has a love for motorcycles that started when he was a child. “Since I was a kid I had this passion and I always watched events with motorcycle and saw pictures of the machines, and so a long time ago, in the 1990’s, my brother, my cousin and I started to ride sportbikes. It was scary at the beginning, then we started with big bikes, touring and choppers. The UAE Royal Riders is like a family to me. The freedom our rides offer is thrilling. We are all brothers! The UAE Royal Riders means power and leadership”, reminds Saud. 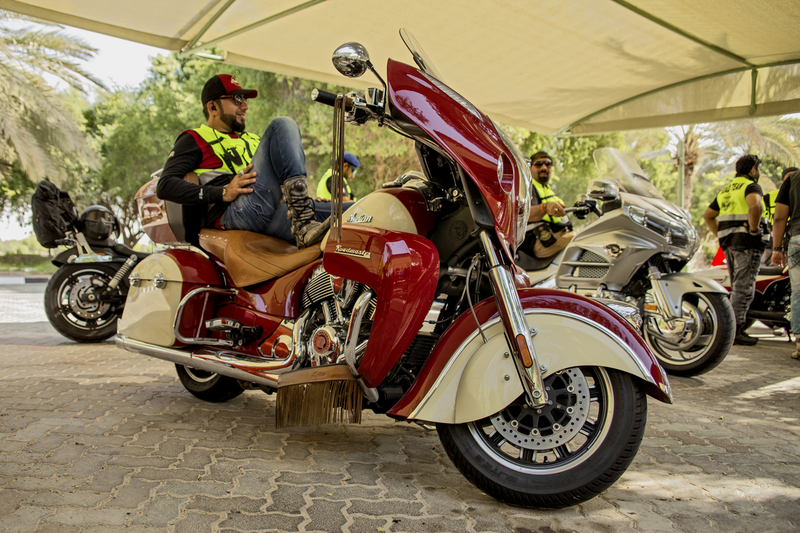 The UAE Royal Riders started at a friends meeting in the summer of 2014, when a small number of local motorcycling enthusiasts gathered to produce a documentary on the growing number of motorcycle riders in the region. Soon after this work, a meeting took place under the name of “Royal Riders”. 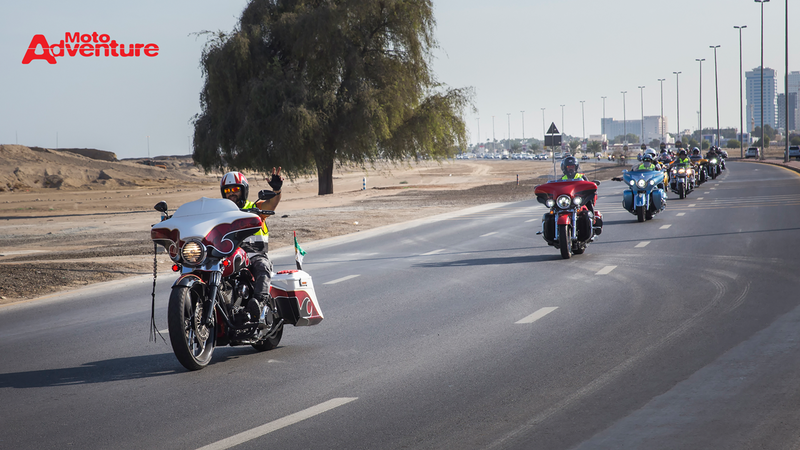 A few months later, a large number of riders gathers and then they founded the UAE Royal Riders. 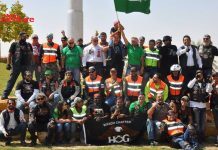 Since the beginning, the group strives to offer support, awareness and hope for the community, paving the way to create an environment that will improve the mentality of the region regarding motorcycle riders, who are people of great respect and who, besides loving motorcycles, are also worried about making the planet a place of harmony for all. Each with their own reality always contributes to that, always with great joy riding a motorcycle. 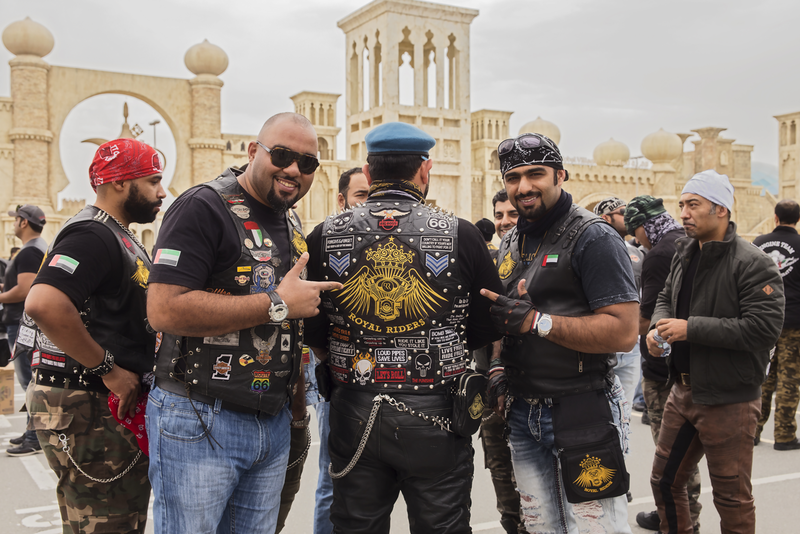 At the United Arab Emirates there are over 30 motorcycle clubs, a number that is always growing, and all of them live in perfect harmony. “We really have a good relationship and always try to support other groups in events and rides, and they do the same for us. Sometimes, groups and clubs have internal problems, but at the end we are all brothers”, says Saud. 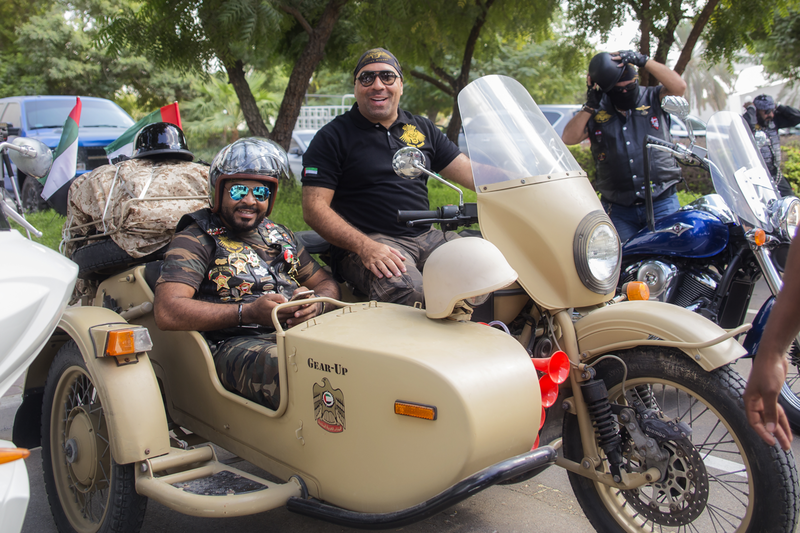 Besides being always present at events and on local trips, some members of the UAE Royal Riders travel to countries such as Thailand, for instance, to have fun riding. Brazil is a real possibility for future travels of the group. “Sometimes we go on long trips, something between 2.000 to 4.000 kilometers to neighboring countries. 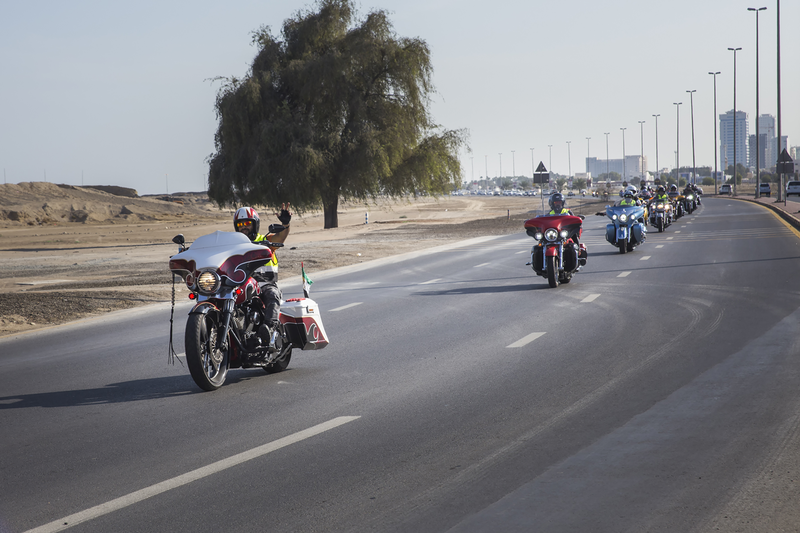 I don’t know much about riders and the motorcycle scene in Brazil, but I will organize a trip with some members of the UAE Royal Riders to get to know that universe and participate in some event as soon as possible, says Saud. 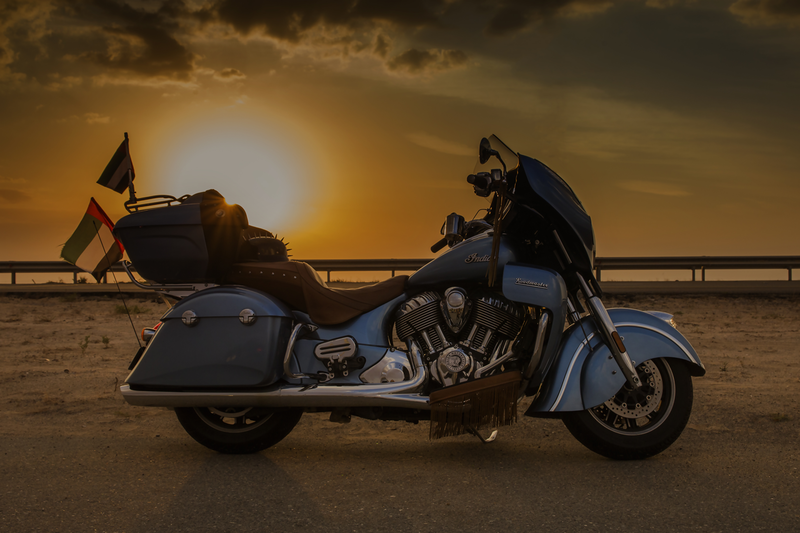 And for Brazilian riders who wish to ride a motorcycle in the United Arab Emirates, starting from Dubai, they will easily find many services, such as bike rental, including large displacement ones, even some that are customized, ready for long trips. Agencies will offer not only motorcycles, but also full tours for a fun ride, such as Prestige Motorcycle Tours & Rentals, which offers a complete service, including leisure activities in some destinations, with a trip that includes visiting Ferrari World in Abu Dhabi. There are excellent options, such as the 7 Emirates Tour, that always starts and ends in Dubai, and happens during the Emirates Bikes Festival, one of the largest motorcycle events in the Emirates. This super trip is always commanded by members of the UAE Royal Riders, guiding riders on the roads of the 7 emirates on a nice adventure lasting 4 to 5 days. The 7 Emirates Tour is promoted by Final Cuts Events, organizer of the Emirates Bikes Festival. Special thanks to Saud for allowing and helping on the making of this article. It will be a pleasure to welcome you and all UAE Royal Riders in Brazil whenever you wish to come! VEJA AQUI A MATÉRIA EM PORTUGUÊS. VEJA TAMBÉM: Conheça o Beach Bikefest: Um dos maiores eventos motociclísticos do Egito.